Book 1 in the NEW Wings series. Jatinder seems to be living his dream – he’s training for his team’s youth squad, and his host parents Steve and Esther are really great. But something’s holding Jatinder back from being a really great footballer – himself. Steve reckons it’s OK to take risks – look at his own hero, Hardit Singh Malik. That night Jatinder wakes up in a seriously surprising situation – flying Hardit’s WWI fighter plane into enemy airspace. Read the first chapter of Flyboy here. 2016 Wings: Flyboy is on the longlist for the Leicester Our Best Book award 2017. Something to help literacy take off for every child. 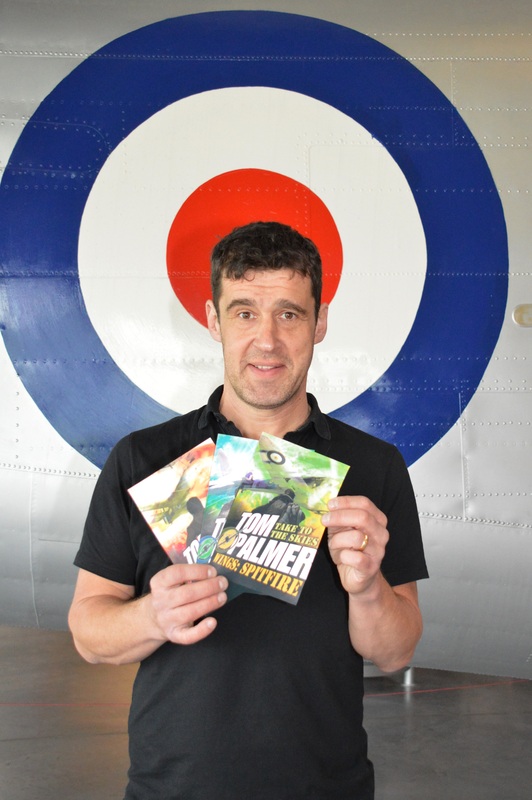 “Tom Palmer writes with breath-taking ease – pulling the reader right into the action so that the sights and dangers of the situation seem real. With great historical detail, yet modern language and thought, Jatinder is a believable character who learns from this time travelling adventure, and carries his new sense of possibility to the football pitch.